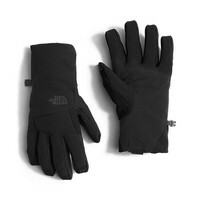 Media compatible gloves in cool-to-cold conditions. Suede gripper palm features additional grip. Additional Heatseeker insulation within the glove keeps hands warmer. 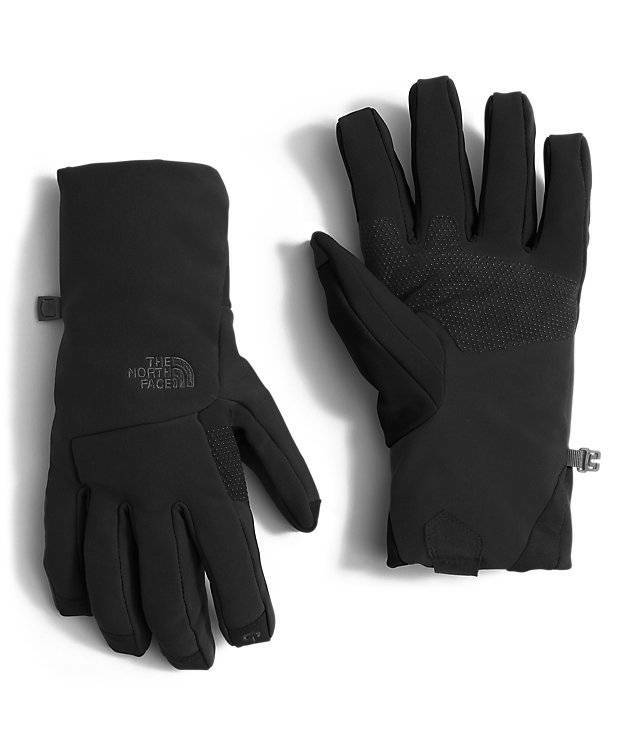 TNF Apex ClimateBlock soft shell within the back of the hand blocks wind and moisture. Radiametric Articulation gives these gloves a much more natural feel when hands are relaxed in the glove. Pull tab at the opening of the glove for easy on/off.